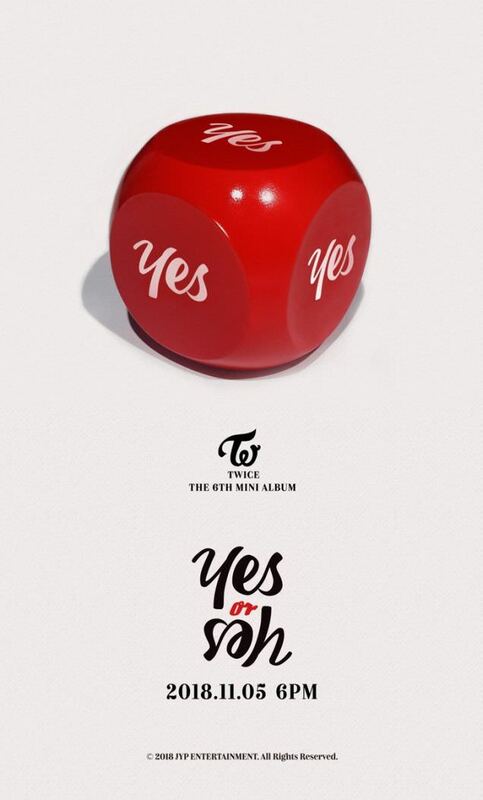 TWICE has just dropped their new album 'YES or YES.' This comeback is breaking records for the girls once again. 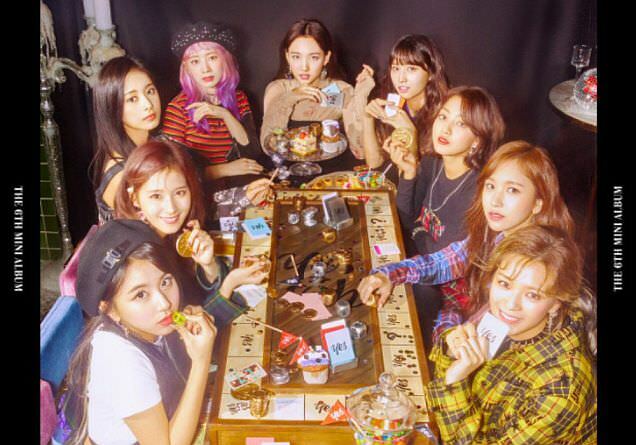 Not only did they break YouTube records being one of the fastest girl groups to reach 20 million MV views but they also achieved a certified All-Kill, topping the Melon, Genie, Bugs, Mnet, Naver, and Soribada music charts. Of course, all of this is not news to you if you're a devoted ONCE. 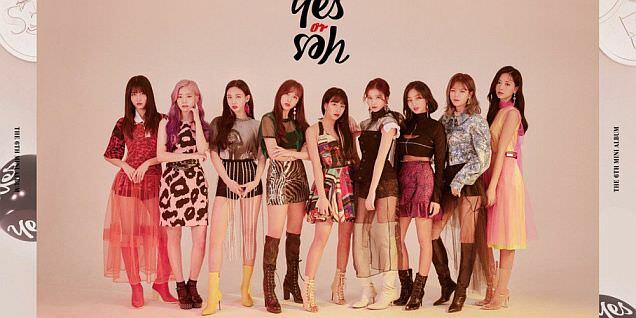 Their new title track "YES or YES" starts in earnest, with a bold and loud proclamation of "YES or YES." The song itself is pretty good, sort of a hybrid tropical house beat combined with some reggae hints to make for a pretty good pop tune. It's not their best title track ever but not the worst either. I like the time signature changes here too. "SAY YOU LOVE ME" is a nice guitar-driven tune. And the guitar is a nice touch. There are some pounding beats interspersed with some rapid-fire dance beats which make this song really pop. I like the energy and enthusiasm here. I think this song could almost be better than the title track. "LALALA" sounds like a summer anthem to me. It's bright and poppy and has that guitar (I'm seeing a pattern here) which gives it extra oomph. There's just something about this that screams put the top down, let the sun in, and go for a drive. "YOUNG & WILD" is kind of an odd duck. It's got some time swaps that are highly unique, and there are parts of it that go off track and defy the metronome, which is nice. It's refreshing to hear a complex song structure, and they present it so sweetly that you don't even mind. Moving on to "SUNSET," that's where things go a bit awry. The backing track sounds like it occasionally slows down, and just sounds wrong. I think the chorus isn't as strong as the other songs on here, too, and it sounds like voices are cracking. I didn't like this song as much as the others. And of course, you knew that there would be an obligatory ballad on here, in the tune "AFTER MOON." It's actually a sweet ballad-soft pop hybrid that really shows off the girls' vocals. They harmonize and express themselves really well here, defying the haters who say they have no talent. Listen to this song and say that again. Finally, we have "BDZ," which I've liked since I heard it as a Japanese single (and also the killer MV). This version doesn't seem to have an accompanying MV and is the Korean version. I like this one better simply because it is in Korean, and thus, it just sounds more natural to my ears. I love the pounding beat and the attitude that comes through in this song. The western swing sound is updated and modernized here. Every TWICE album sounds just a bit different from the last, but I don't remember guitar influences as prominent as in this release. And it seems there's a little less of the agonizingly cute sound (the title track doesn't engage in baby talk). The cute factor is still there but tuned down and channeled better. And I like the title track better than some of their other ones, being more of an actually good song rather than trying to make a catchy instant hit. Do I like this one? 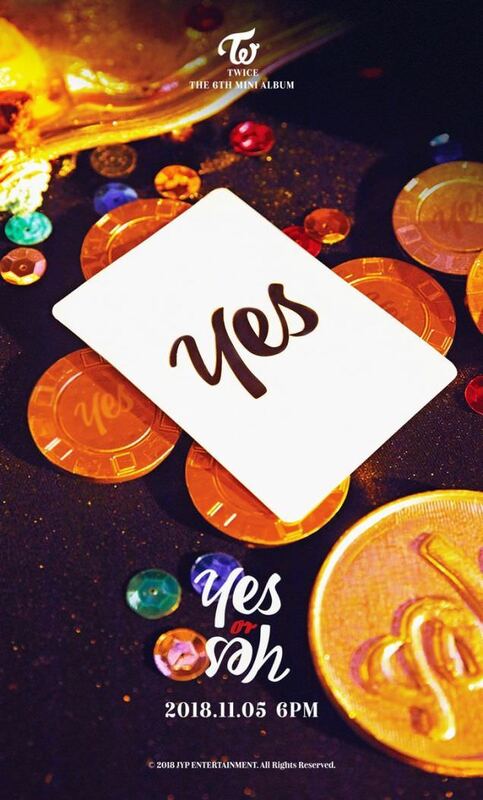 The answer comes from only two options: yes or yes. In this MV, we walk down a spooky path and catch a ride in an old classic car. We're taken to TWICE Square and treated to a show rooted in carnival tricks and mysticism. From games seen at a State Fair, to decorations reminiscent of a carnival, to CGI tricks like a background leading to a sunny fair setup (while the spooky road we drove down is closed), and digital manipulation (with multiple images of Sana), and Momo twirling fiery rods, this MV is packed. The dancing is A-okay, right on point. There is some aegyo (particularly toward the last half of the MV), but other than that they choreo is pretty solid. I was impressed. 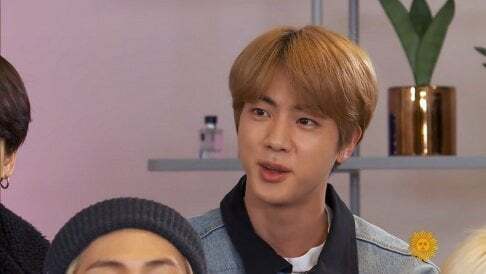 I'm glad to see more dancing in MVs these days. Overall, TWICE's MVs get better and better. While I wasn't a fan of "Cheer Up," this stands as a high point for them. The amount of CGI here is just insane, while we're treated to the girls' unique charms wherever they're shot. Yeah, this one is a hit.